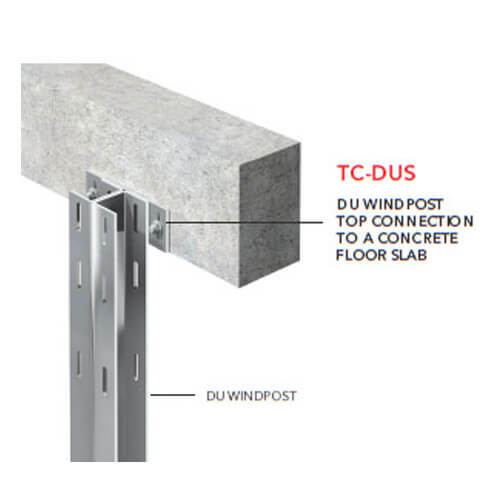 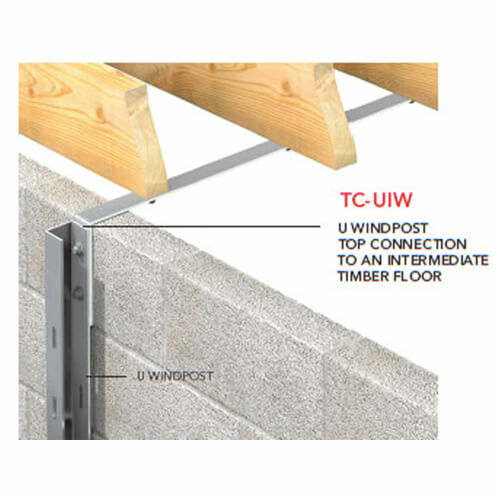 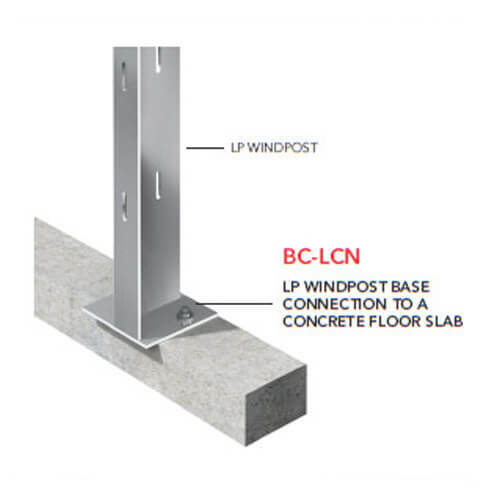 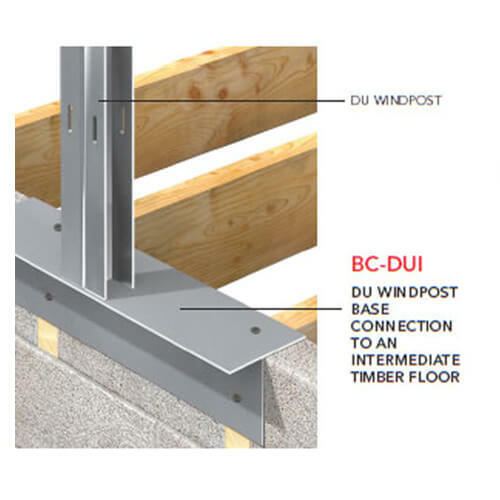 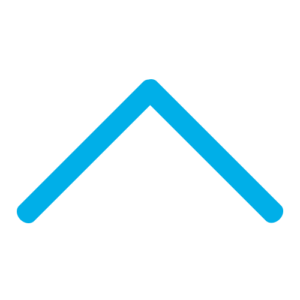 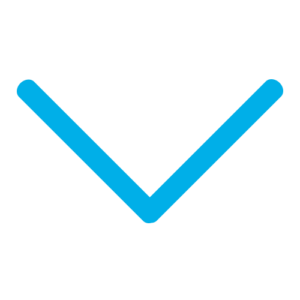 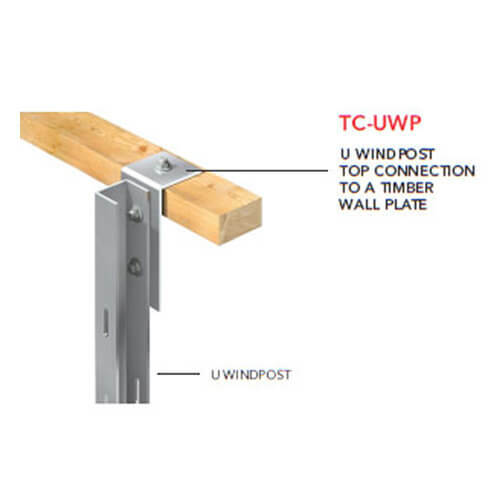 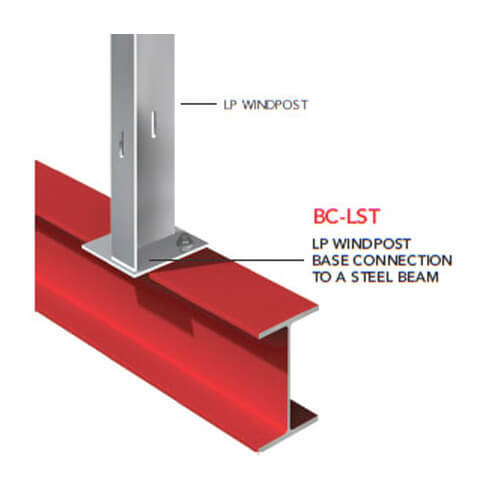 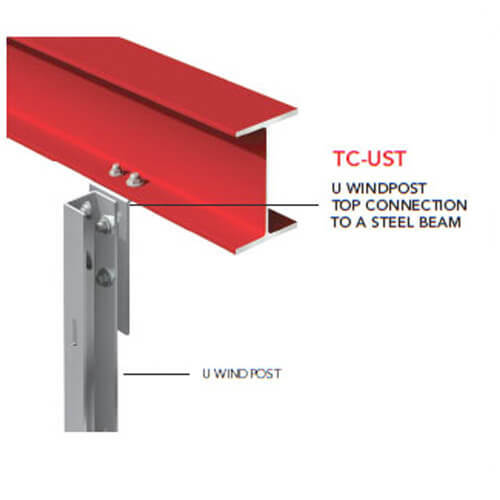 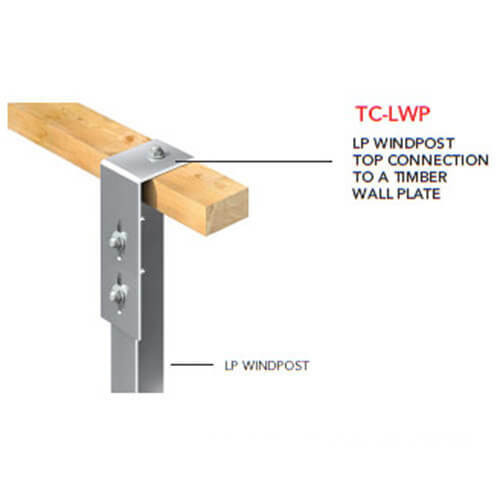 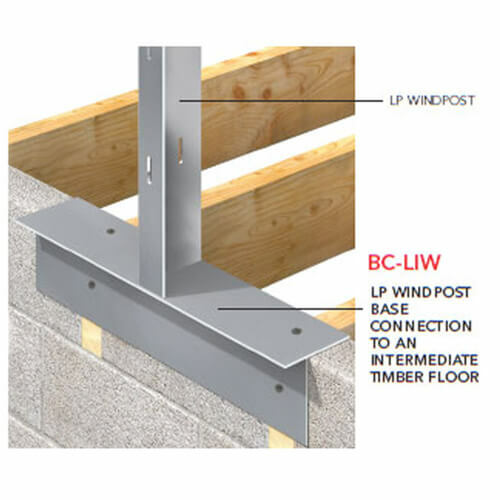 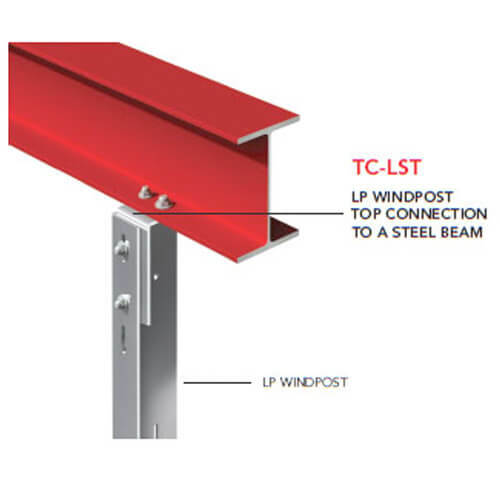 All Keystone Windposts are supplied with plates or angles for fixing to the structure at top and base. 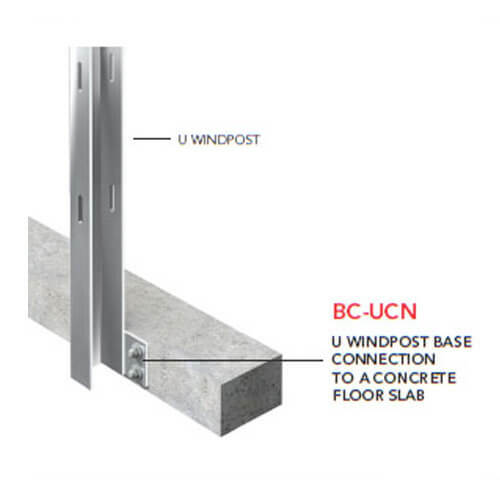 It is important that masonry support windposts are fully fixed before commencement of the brickwork. 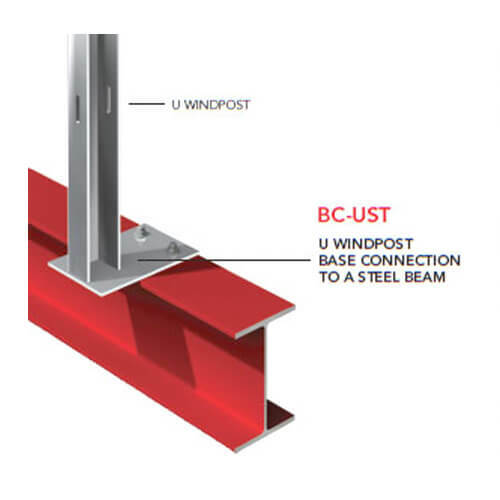 Although the type of connection will change on a project-by-project basis, some typical examples of top and base connections can be seen on this page.